Premier Lake/Beach Front! First Floor Condo-Stunning Views! 1BR/1 BA, Sleeps 5, Clean, fresh, renovated! Top 10 in the complex! Updates abound in this one bedroom condo is located in the Waterfronts II Condos steps from the beach, pool, Jet and downtown Port Clinton. This condo is 1 BR, 1 BA is fully furnished - everything from 100% cotton sheets, linens and towels- to a blender and toaster! This condo has been fully updated! And includes everything you need to enjoy your stay. Fresh new linens, pillows, blankets, etc. There is a queen size bed in the master, and a daybed with pop-up trundle that combines to make a queen. There is an additional folding mattress/bed as well. When you walk out the back door, within (literally) steps you are at the pool or walking on the sandy private beach. Pictures show view from condo. Great Location - just across the bridge within walking distance from the Jet Express, Mr. Eds and downtown P.C restaurants and bars. Also, great location for those visiting/working at Davis-Besse, Coast Guard, or Camp Perry. This condo does have a back door allowing direct access to beach and pool. This condo is on the 1st floor. There are steps to get to the condo in the front. If one has issues navigating stairs, they can use the back door where there is only 2 steps to get into the condo. There is no elevator. This is unit 212A, and is central to the development. I was raised in Amherst, Ohio, just about 20 minutes from Port Clinton. Being from a family of little means, my mom brought us to Port Clinton for the day as our vacation. :) We loved it! It was the best times we had growing up. So one of my goals was to have a place up there one day where, I too, could take my family and enjoy the area. I actually purchased my first condo in this community in 2002 as I had aspirations of writing a book. I thought I would gain inspiration by gazing at the beautiful water, beach, lake, sunset, life got in the way, least at this book is on hold! But, in the meantime, we have been having fun enjoying the property. So much fun, I wanted to be able to have more family join us, so I purchased this condo, which is in the same building! There is not other property in Port Clinton, where you can get such great views of the lake and pool from your condo, is walking distance to beach/waterfront bars and restaurants, downtown, festivals, and the close to golf, Cedar Point, Kalahari, - - - with or without kids, it is a great place to stay. Very short distance into town, bars, restaurants and the Jet. Actually on a beach. One of only a few private beaches in Port Clinton. Yes, this is on the lake. The pictures show the view from the condos. Dining area has bar stool seating for 6. There is a breakfast table as well that seats 4. I loved being by the water and hearing the Seagulls. It was great having a washer and dryer in the unit. The town is adorable and I loved the little lighthouse. The condo had a view of the lake which was beautiful. The view was a little obstructed by the pool, but I imagine in summer it would be nice to easily see if the pool is crowded or not when considering a swim. The owner was nice when there was a concern with the heat in the unit, but did show up unannounced to look in the condo. The drawbridge right next to the condos does sound a horn every time it has to raise, day or night. If you consider it part of the “Sounds of the Sea”, then you’ll be OK. If you are a light sleeper, this may be a bit disturbing. Overall it was a nice stay, and a clean well decorated and comfortable condo. Our condo was very much to our liking - many updates and all amenities needed to prepare meals at home. Perfect location to the pool and great view of the lake. If I could give it a 4.5 stars, I would - the only thing 'lacking' was decent towels for daily use. We brought our own beach towels but understood there to be bath towels to use; there were, but they were very skimpy. I certainly understand the challenge of towels walking off with renters, but for such a well stocked condo and well maintained, this didn't seem to fall in line. It certainly didn't impact our stay; it is just something to note. And not the fault of the condo owner, the bridge to Port Clinton was under repairs and each time we wanted to go east, we needed to go about 10 minutes our of our way to get where we were going. Again, not the fault of the condo owner, but would have made our stay just a bit nicer. (Not to mention the jackhammering that started about 8 am each weekday morning.) Overall, would highly recommend staying in this unit, or any of the units managed by this owner. Our family of 4 including two small children or 3 and under loved this location for our week long vacation in July. The pool was great as was the small private beach. The condo was spacious enough and had nice kitchen. Also when we accidentally locked ourselves out Mary the owner drove over immediately to let us in. Would highly recommend this to others! Very cute, comfortable for four people, convenient access to ferry. Love the location... Clean environment! We stayed with our 2 year old in the first floor condo. It was perfect for our needs of convenience to the pool and beach area. The condo had all of the supplies we needed and was very spacious. We loved that we could sit outside and enjoy the view while our son napped. The condo was clean and the owner was very easy to reach and communicate with. She answered all of my questions promptly and everything was ready to go upon arrival. The pool was great and clean. My son especially liked the fountains in the pool. The location is within steps of the jet express that takes you to put in bay, which I would reccomend doing! There are also grills outside of the condo area and a large grassy area to play in. Stay here if you want convenience and a clean place! 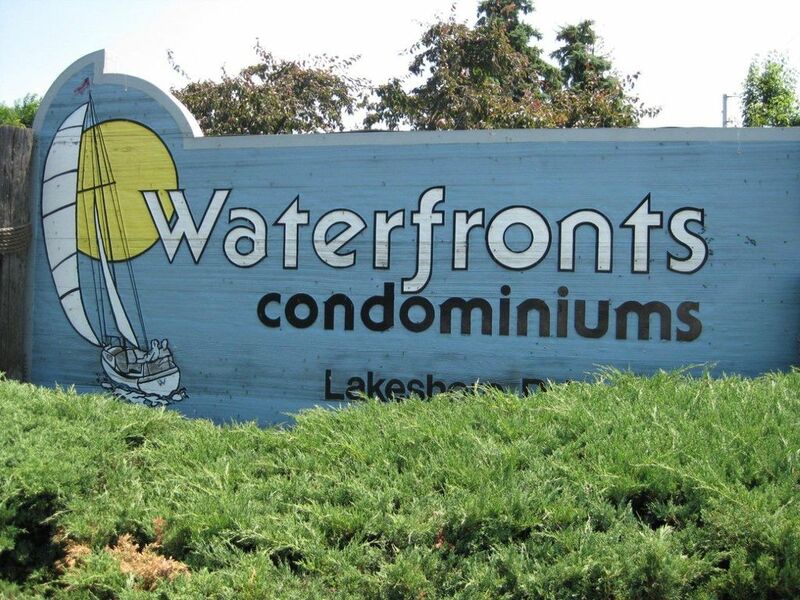 This unit is conveniently located within a short walking distance of restaurants, bars, grocery, charter boats, city docks and Jet Express. Great for a romantic get-a-way for two or for a whole family. My ideal day consists of waking up and walking to my favorite coffee shop for coffee and fresh baked oatmeal cookies. When I return I lay by the pool and then build sand castles with my son. Later I make a cold drink and wait for the Jet Express to come into site. When I see it, I finish my drink and walk across the bridge to take an evening boat ride to Put-In-Bay to get dinner (my favorite is the crab bisque on the Boardwalk) and to listen to live bands at the Roundhouse or the Longest Bar. If I get back to Port Clinton in time, I end the evening in the hot tub! Only property in area with beach, pool, walking distance to town, restaurants and bars, next to Jet EXPRESS - great location, wonderful property! Free WIFI too! Golf: There are plenty of places to golf. Catawba Country Club is right down the road. Additional condo available under 4196988.